Melton Hockey Club First XI moved up into second place in the East Midlands Premier after a five-goal performance at Nottingham. They travelled to a struggling Nottingham side with spirits high, but the Reds’ start left a lot to be desired. Misplaced passes and a general panic on the ball allowed Nottingham to grow into the game. Things got worse when the ball popped up in the Melton area and a Nottingham forward lobbed the ball impressively over the on-rushing Eden. It proved to be the wake-up call the visitors needed. Melton started to press forward with more control and eventually started to win penalty corners. 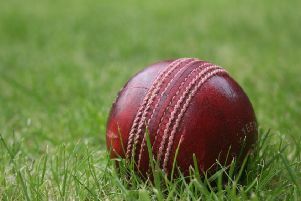 On a notoriously difficult pitch, they reverted to some good old-fashioned hitting, as Judge stepped up to level the scores with a powerful strike. It was déjà vu moments later, when another penalty corner resulted in Judge finding himself at the top of the area with a clear line of sight. Unsurprisingly the result was the same, as Judge unleashed another trademark hit into the bottom corner. The visitors improved a lot in the second half, and began to take full control. Taylor started to get on the ball up front, holding up play and bringing others into the game. One such move resulted in Taylor playing a ball through to the advancing Kendall who deftly dinked the ball over the Nottingham keeper. A 3-1 lead became 4-1 shortly after, as good work from Montgomery-Smyth and Jimul played in Kendall at the top of the penalty area, and he dispatched the ball into the far corner of the net. Kendall completed his hat-trick moments later, as excellent work from Cramphorn released Taylor, who fed a delightful cross across the goal for the skipper to touch in. More chances came and went, with Nottingham putting a little late pressure on the Reds, but all in all the result was comfortable. The First XI return to home duties against North Notts on Saturday (12.30pm start). * Melton’s second team made it three wins in four on Saturday as they dispatched Nottingham’s second string 2-0. The win moved them up to fifth in their East Midlands Premier, locked on the same points as the three teams above them. They are within a point of leaders Northampton Saints who they visit on Saturday.